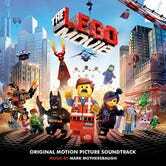 I own The Lego Movie soundtrack and though I am not a huge vinyl fan myself I know that enthusiasts are out there. 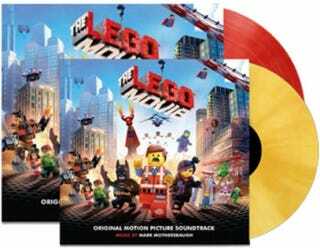 Those folks will be happy to learn that the original motion picture soundtrack to The Lego Movie will be released as a Double LP set on February 10th, 2015. You can pre-order now on Amazon. The Double LP set will be packaged in a full color gate-fold jacket with a 12" x 12" full color, 8 page booklet featuring liner notes by Mark Mothersbaugh (composer of The Lego Movie soundtrack and founder of DEVO) and images from the movie. The album includes the entire 24 track score by Mothersbaugh and four unique versions of Everything is Awesome, the somehow Oscar nominated anthem for the movie that is performed by Tegan and Sara (and features The Lonely Island). An extremely limited edition version of the soundtrack will also be available in the form of colored vinyl variants in the palette of some of the characters in the movie. I'm guessing pink for Unikitty, blue for Benny, and the already confirmed red and yellow colors that were offered with pre-orders in the UK. The normal color is black (and sometimes very dark gray) for Batman, I guess. Spacelab9 will be carrying the vinyl variants and making them available for pre-order sometime before the album release. The standard release is just $31.98.